Two ICANN related announcements were made yesterday, both may or not be related to the IANA transition plans, however one thing could be certain that one triggered the other. No one can tell his reasons for resigning, but speculations are that it could be as a result of the IANA transition business that has kept the CEO. Meanwhile the US has thrown a new spanner in the transition works, in an August 17, 2015 update on the IANA transition by Assistant Secretary for Communications and Information and NTIA Administrator Lawrence E. Strickling, the US plans to extend our IANA contract with ICANN for one year to September 30, 2016, this means that the transition plans face an indefinite delay. ed to the DNS, known as the IANA functions, expired on September 30, 2015. However, it has become increasingly apparent over the last few months that the community needs time to complete its work, have the plan reviewed by the U.S. Government and then implement it if it is approved. Accordingly, in May we asked the groups developing the transition documents how long it would take to finish and implement their proposals. After factoring in time for public comment, U.S. Government evaluation and implementation of the proposals, the community estimated it could take until at least September 2016 to complete this process. In response to their feedback, we informed Congress on Friday that we plan to extend our IANA contract with ICANN for one year to September 30, 2016. Beyond 2016, we have options to extend the contract for up to three additional years if needed. This one-year extension will provide the community with the time it needs to finish its work. The groups are already far along in planning the IANA transition and are currently taking comments on their IANA transition proposals. As we indicated in a recent Federal Register notice, we encourage all interested stakeholders to engage and weigh in on the proposals. 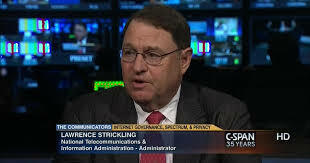 With Strickling stating that there are options to extend the contract by up to three more years, if needed, this means that the transition may never happen at all, especially given the fact that the Plans that are being analysed by the community have serious deficits that threaten the status of oversight. US lawmakers have since the NITA transition announcement raised concerns about the plan to hand over the stewardship of the ICANN to a global multi-stakeholder body, as they fear it may allow foreign governments that do not adhere to principles of free speech to influence the body.